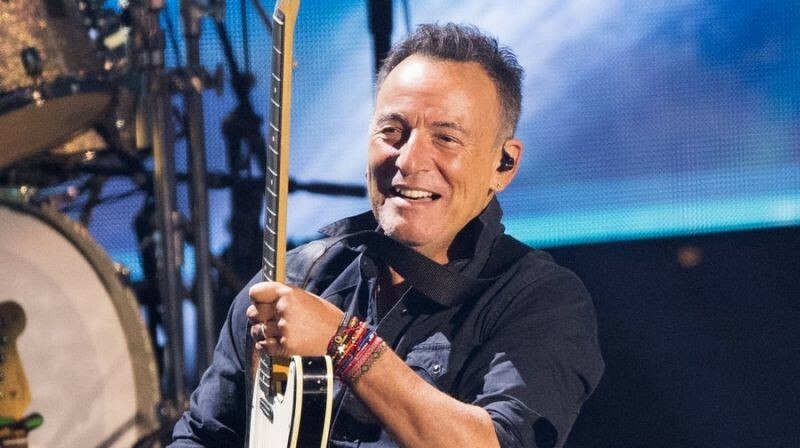 Bruce Springsteen, nicknamed "The Boss", is an American singer-songwriter and multi-instrumentalist who records and tours with the E Street Band. Springsteen is widely known for his brand of heartland rock, poetic lyrics, Americana sentiments centered on his native New Jersey and his lengthy and energetic stage performances, with concerts from the 1970s to the present decade running up to an uninterrupted 250 minutes in length. Springsteen's recordings have included both commercially accessible rock albums and more somber folk-oriented works. His most successful studio albums, Born in the U.S.A. and Born to Run, showcase a talent for finding grandeur in the struggles of daily American life; he has sold more than 65 million albums in the United States and more than 120 million worldwide and he has earned numerous awards for his work, including 20 Grammy Awards, two Golden Globes and an Academy Award as well as being inducted into the Rock and Roll Hall of Fame in 1999. In 2004, Rolling Stone ranked him as the 23rd Greatest Artist of all time, the 96th Greatest Guitarist of all time on their latest list and the 36th Greatest Singer of all time in 2008. 4th Browns Bay Vinyl Record Fair!